We’re coming to the end of another calendar year so it’s time for resolutions and “best of” lists. Here’s the list of this blog’s Top Ten Posts of the Year according to the number of hits each one received. This means that the 67% of students who scored below proficient on the NAEP’s 8th-grade reading test were not honor students, not that they were “below grade level.” Students who are “proficient” are high achieving students. Students who are “basic” are average, and students who are “below basic” are the ones who are at risk of failure. 67% of students below “proficient” does not mean that 67% failed the test! Time for The Test! What Can One Teacher Do? 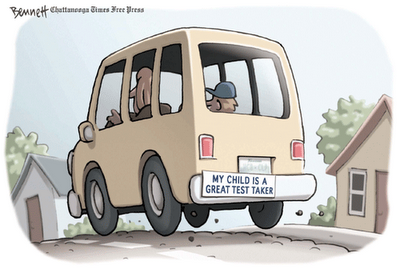 Each year teachers have to stop teaching to make time for intrusive state standardized tests. It’s a waste of time and doesn’t improve the learning process. Furthermore, the results of the tests are used in invalid and unreliable ways. Understand that the increased importance of standardized tests — the fact that they are used to rate schools and teachers, as well as measure student knowledge accumulation — is based on invalid assumptions. As a professional, your job is to teach your students. If knowledge were all that was important in education then an understanding of child development, pedagogy, and psychology wouldn’t be necessary to teach (and yes, I know, there are people in the state who actually believe that). We know that’s not true. We know that one of the most important aspects of teaching and learning is the relationship between teacher and child. We know that well trained, caring teachers are better educators than computers. After nearly 13 years of ranting against the corporate-led destruction of public education, I lament that not much has really changed. The sad news is that things have gotten worse for public education since I started writing here in 2006. We’re still dealing with privatization, union busting, teacher scapegoating, the overuse and misuse of tests, and the lack of funding or support for public schools. When we add to that, a teacher shortage designed and implemented by those same “reformers,” the task of saving our schools seems overwhelming. My annual Fathers Day post with the same message each year: 1) read aloud is important and 2) dads should do it! Corporate reform is slowly changing public education into a consumer good. It’s not and shouldn’t be. It’s a public good. 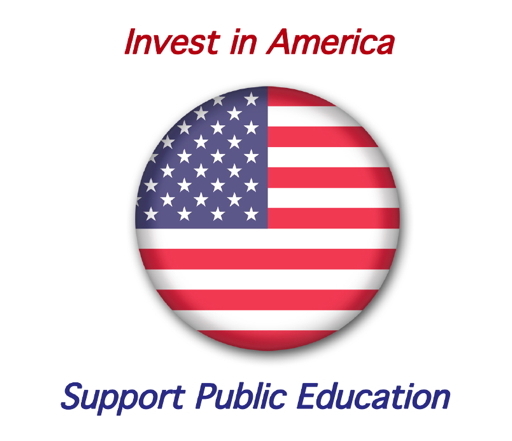 An investment in public education is an investment in our future. Adding money to your IRA, 401k, 403b, or any other investment isn’t a personal expense; it’s an investment in your future. Similarly, money spent on public education is an investment, not an expense. Roads, parks, public libraries, and public schools are all public benefits…they all contribute to the public good and the tax money we spend on them is an investment in our future. Through the public good, we guarantee the benefits of our society to those who follow us. When it comes to education, there is a waiting time for the return on the public’s investment, but after that wait time, it’s clear that society benefits. For example, the G.I. bill after World War II was an investment in veterans which helped build prosperity after the war. It is the same with public education. We may not always see an immediate positive impact, but, in the long run, an educated populace will earn more, produce more, and live better. 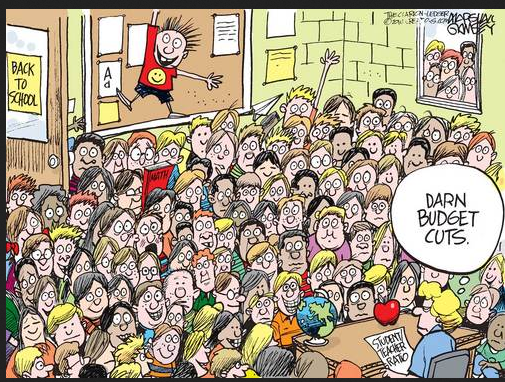 Privatizing public schools doesn’t help children. Learning doesn’t improve. The impact of poverty isn’t eliminated. We cannot afford to fund three educational systems with public tax dollars. 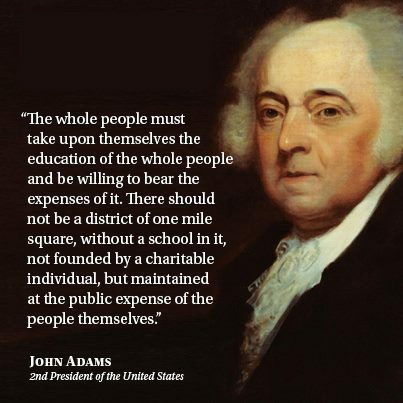 We need to return to one, publicly funded, public school system. What about “failing” public schools? What “privatizers” call a “failing” public school is, in fact, a “failing” municipality or state government. The answer to low achieving schools is not to take money and resources away in order to fund a second or third school system. The answer is to improve schools so that all students are well served. Even so, America’s public schools perform well. We don’t have a “failing” school problem. We have a child poverty problem. Public funds should be reserved for public schools. Who would have thought that demoralizing teachers, cutting their salaries, eliminating benefits, and reducing job security would have a detrimental impact on the profession of teaching? If we cared about the future, we would provide the same services to all schools that LeBron James is providing. These are the schools all children deserve. LeBron James is a millionaire…but unlike others among the super-rich who stick their wallets into America’s education infrastructure, The LeBron James Family Foundation, along with community partners, is helping to fund a public school run by a public school system, and staffed with unionized public school teachers. The taxpayers are paying for the school, teachers, and the usual expenses just like they do for all public schools, while the Foundation and its partners are providing funds for building renovations, wraparound services, and other extras. Underpaid. Overworked. Is it any wonder that there’s a serious teacher shortage in Indiana (and the rest of the U.S.)? A teacher’s paid work day is only 7 or 8 hours long…but for the vast majority of teachers, the workday doesn’t begin when the students arrive, or end when they go home. Homework and after-hours work is part of everyday life for teachers. I have seen teachers stay at school 4 or 5 hours after the students leave, carry home hours of paperwork every night, or spend every weekend in their classroom, not trying to get ahead, but trying to keep up. I have been that teacher. Don’t Bother Me With Politics. I Just Want To Teach. The turnout for the last election was higher than in previous midterm elections. Too many teachers, however, still voted for the Republican legislators for the Indiana legislature who have done their best to damage public education. Many teachers from Indiana are one-issue voters. Unfortunately, the one-issue is not education. It’s time teachers stood up for their own profession and voted for the interests of their students. Teachers must become the political voice for their students. 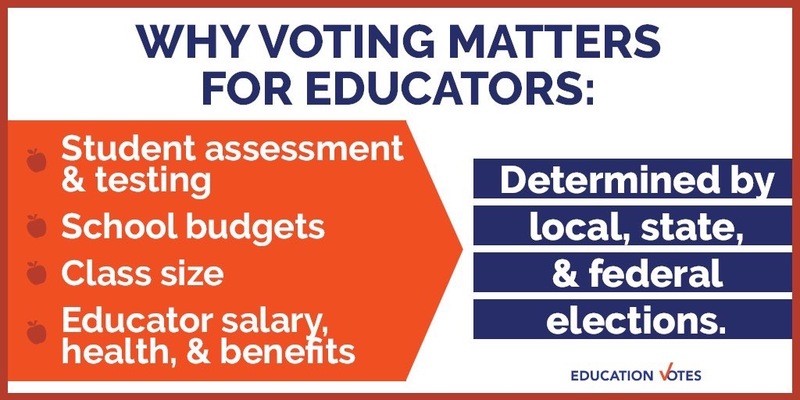 Teachers who don’t vote allow others to make decisions about what goes on in their classrooms. As the former first lady, Michelle Obama said this week, “Democracy continues, with or without you.” If you don’t vote, it goes on without you. An annual Father’s Day post…with updates and additions. I read aloud to all my classes because reading aloud is simply one of the best tools we have to help children learn to read. Reading is, arguably, the single most important skill a child learns in school. The more you read, the better you get at it; the better you get at it, the more you like it; and the more you like it, the more you do it. The more you read, the more you know; and the more you know, the smarter you grow. 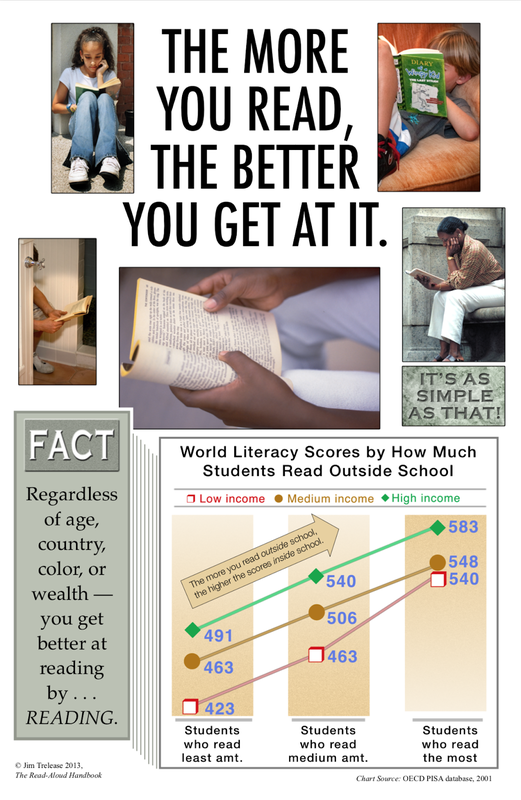 Reading aloud is more beneficial than standardized tests or worksheets. It is more important than homework or flashcards. It is the single most important thing a parent can do to help their children become better readers. It is the single most important thing teachers can do to help their students become better readers. several of which have been signed by the author, Jim Trelease. In the latest edition of his book (2013), Trelease devotes an entire chapter to fathers and reading aloud. He focuses on fathers reading aloud to sons because fewer fathers than mothers read aloud to their children, and sons are the ones, according to statistics, whose academic achievement could use the read-aloud boost. Obviously, this does not mean that fathers should not read aloud to their daughters. 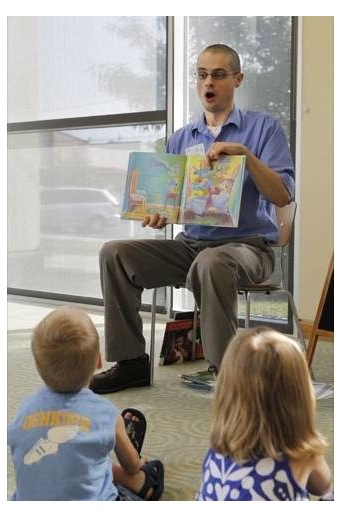 The point is to get fathers to read aloud to their children. The Read-Aloud Handbook by Jim Trelease: CHAPTER 9: Dad—What’s the score? In case you’ve been off the planet for the past several decades, let me bring you up-to-date on our boys and their school woes. In a 2008 study of reading tests in forty-five states, the girls exceeded the boys at every grade level. Unlike four decades ago, it is now common for girls to dominate a high school’s highest academic positions (valedictorian), class leadership positions, advanced placement spaces, and school activities. While the girls are assuming responsibilities, the boys are playing sports or video games. For the first time in history, women exceed their male counterparts in most collegiate achievements, from enrollment and graduation to earning advanced degrees, and the gap is widening annually. About the only significant area in which males dominate in college is “dropout,” where they lead by a 3:2 ratio. Boys, Trelease says, need their fathers to read to them. The relationship between fathers and sons has changed over the years, and not necessarily in a good way. Over the last few decades America’s “male” culture has been dominated by politics, sports and television, and boys watch their role models carefully. Among those men in important cultural and political positions in America are abusers, racists, and misogynists. It’s more important than ever that fathers exert positive role-model influence over their sons. The landscape of the American male’s attention span was being dramatically altered and boys were soaking up the changes. Can a father play catch in the backyard after dinner and still read to the child that same evening? Can they go to a game one day and to the library the next? You betcha. The question is…do they? Do fathers take part in their children’s, and specifically their sons’, intellectual development? 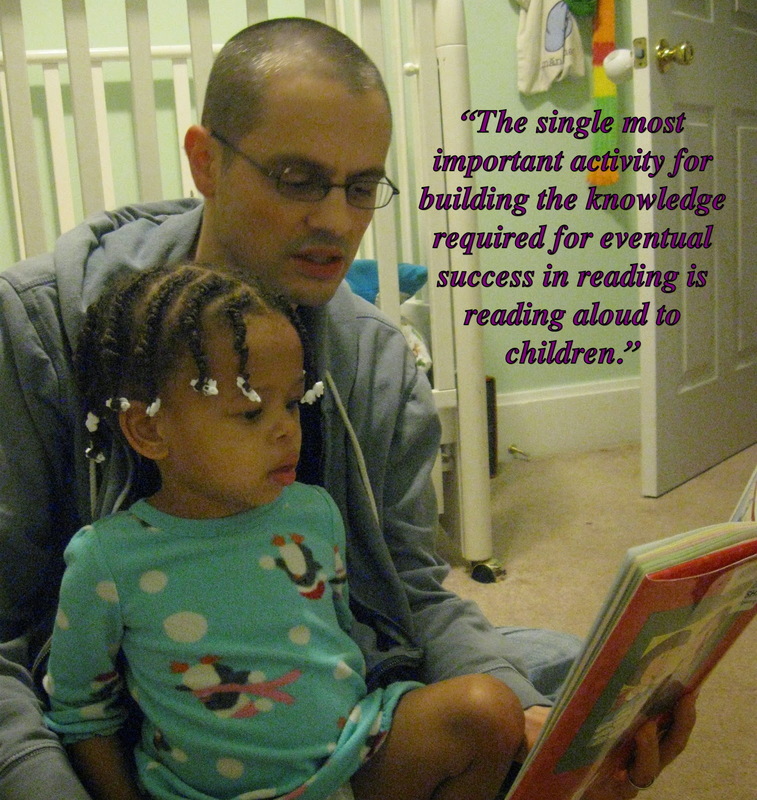 Reading aloud to your child is an easy, fun way for fathers to have a positive academic influence on their children. Dad—what have you done for your son’s head lately? Make a Father’s Day resolution. Read to all your kids every day. Here’s a good summary of the reasons we shouldn’t rely on test scores to compare education in the United States with other countries. Simply put, if the U.S. didn’t have one of the highest rates of child poverty among advanced countries, our test scores would be higher because test scores reflect family income. This isn’t news…(see here and here). 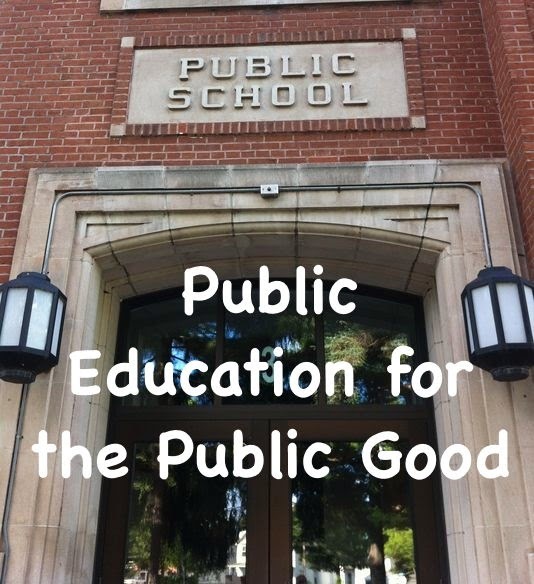 Peter Greene reminds us that public schools are expected to be everything for everyone. We aren’t always successful, but there are very few places where public schools try to help every child achieve to his or her highest potential. …Our dream is to provide every single child with the support and knowledge and skills and education that will allow each to pursue the life they dream of, to become more fully themselves, to understand what it means to be human in the world. We do not always live up to that dream, but US public schools have lifted up millions upon millions of students, elevated communities, raised up a country. 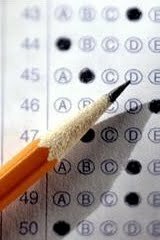 For years I felt like the lone voice against the overuse and misuse of standardized testing in my school, and school district…in fact, I started this blog in 2006 because I wanted a place to vent about that very topic. 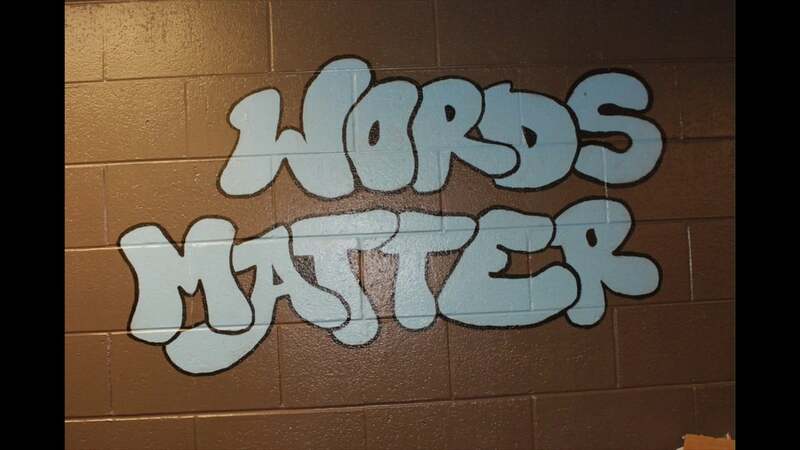 Perhaps other teachers in our district felt the same way, but were afraid to speak out. Most of the teachers in my building just sat quietly while I ranted about wasting all the time with tests that didn’t help anyone. No one ever thanked me, but no one ever objected. Our principal would sometimes say, “Now is not the time,” or “Just do it.” I understand that he was under pressure from the central office, who, in turn were under pressure from the state, to administer tests. Still, it would have been nice to have some support from other educators (perhaps there was, and I just didn’t see it). It would have been nice to hear from an administrator, “I agree, but we have no choice.” Something would have been better than nothing. And it’s still going on. 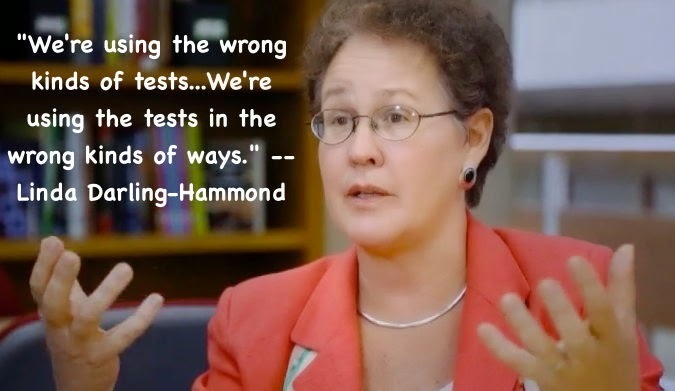 American teachers and students are being forced to administer and take tests which are being misused…to rank schools, to determine teacher pay, to rank students. It’s unprofessional, educational malpractice, and child abuse. I’ve seen some of these people reduced to tears by administrators unfairly manipulating them based on their students’ test scores. Yet none of them have the guts to stand up and be counted when the moment comes. I say again – everyone wants to fight. But no one wants to do the fighting. They want someone else to do it for them. But if you feel that way, you’ve got to do something about it. You think teachers are too cowardly? 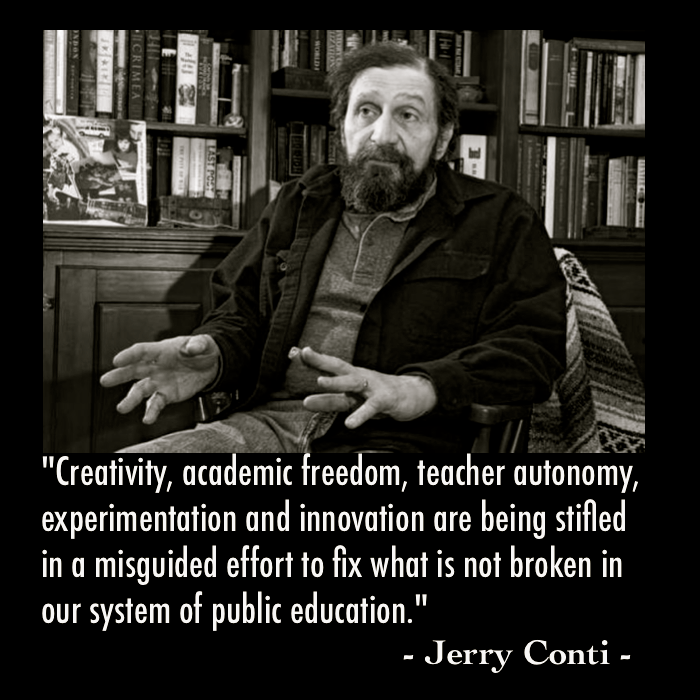 What have YOU done to fight corporate education reform today? 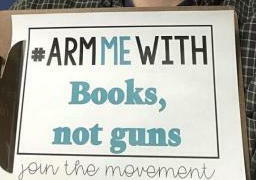 The last thing on my mind when I was a pre-service teacher was where I would keep my gun to protect my students from killers shooting up schools with assault-style rifles. My goal as a classroom teacher was to help children achieve as much as they could, academically and personally, while they were in my class. My goal as a reading specialist was to help children who were struggling to overcome the obstacles standing in their way. It’s time to change our rules about guns. There’s no need for us to be the one country in the world where mass murders are frequent events. We need to require universal background checks, close gun acquisition loop-holes, and remove assault weapons from the catalog of civilian weapons. If trained soldiers at a military base could not prevent a soldier armed with two handguns from killing a dozen people how do we expect a teacher with a handgun to survive against a shooter with an assault rifle? There are reasonable restrictions to the First Amendment. It’s time to adopt reasonable restrictions to the Second Amendment. The Parkland teachers provide graphic and convincing reasons for keeping guns out of classrooms. The students provide the reasonable restrictions to the Second Amendment. Nearly three-fourths of U.S. teachers do not want to carry guns in school, and they overwhelmingly favor gun control measures over security steps meant to “harden” schools, according to a new Gallup poll. Charter schools and parochial/private schools that accept vouchers do not provide a better education than public schools. 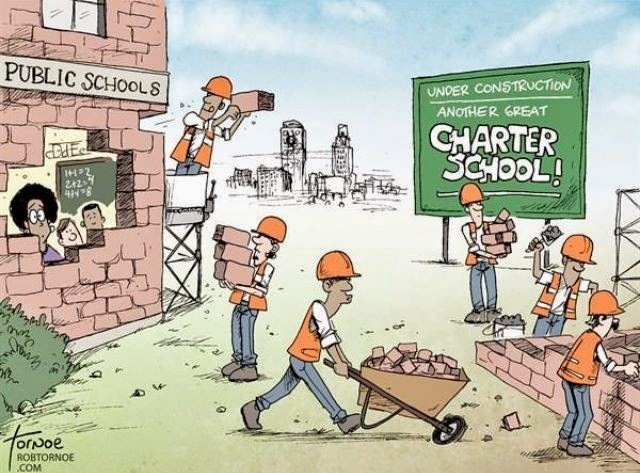 …I didn’t find charter schools to be, on balance, more innovative than public schools. Some of the most remarkable innovations I observed were in the very public schools that choice advocates dismiss — in places such as Charlotte, Newark, Coachella and Waipahu. And while some charter schools are deeply innovative, many grind away on test scores, with innovation limited to cute test-prep jingles. Free of regulation, you might think private schools would lead the way in innovation, but most are focused on the college application process, a serious impediment to innovation. The voucher debate, therefore, is a question not just of values but also of effectiveness, and research should play a significant role. So how should we interpret the available evidence? At most, only one of the more than two dozen states that have tried statewide vouchers and tuition tax credits has yet to demonstrate convincing, measurable success with them, Given this reality, it is hard to make a case for substantially replacing our system of public schooling on a national scale. The American workforce continues to be the most productive and creative in the world. This does not mean we cannot do better, but it does indicate that we should proceed with caution and care. Not all charter schools are as bad as the one described in this post, but before we continue the charter school experiment we need to put in place safeguards to insure that charter schools are held to the same accountability standards (including financial) under which public schools are required to operate. …I soon realized there was a gulf between charter school hype and reality. Every day brought shocking and disturbing revelations: high attrition rates of students and teachers, dangerous working conditions, widespread suspensions, harassment of teachers, violations against students with disabilities, nepotism, and fraud. By the end of the school year, I vowed never to step foot in a charter school again, and to fight for the protection of public schools like never before. Chapter One: Why read aloud? Today, March 23 (actually, yesterday, by the time I get this finished and posted) is Jim Trelease’s birthday. 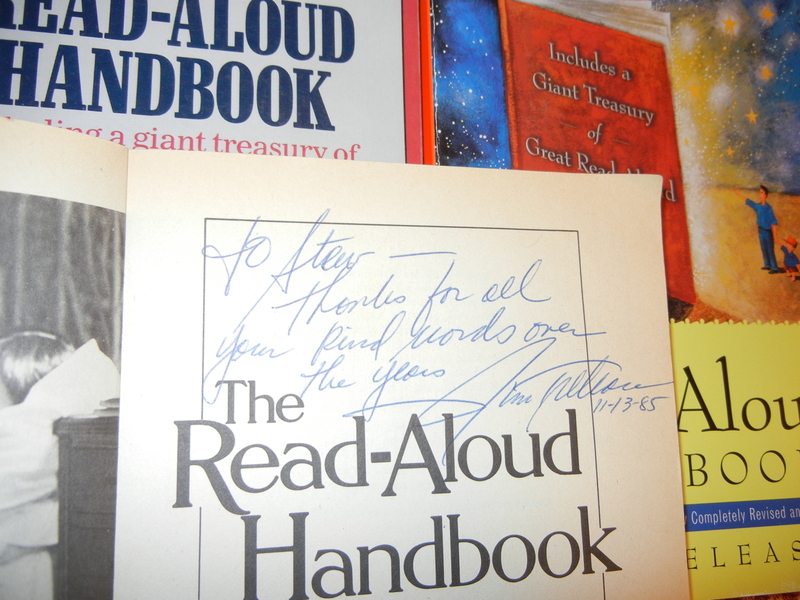 My last post, Carved in Stone, was about reading aloud to children…Jim Trelease’s life work. 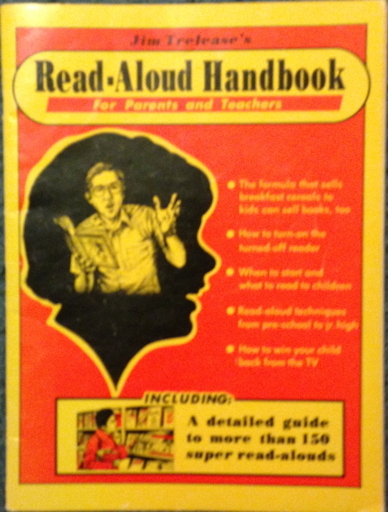 In 1979 I ordered a pamphlet from the Weekly Reader Book Club titled The Read-Aloud Handbook. Three decades later, the 30-page pamphlet had grown, in the seventh edition, to a 350 page book complete with a bibliography of several hundred read aloud book suggestions spanning a third of the book. I read to all my classes…kindergarten through 6th grade…Where the Wild Things Are and Junie B. Jones through The Island of the Blue Dolphins. I can’t remember ever missing a day. It was my belief — and it still is — that reading aloud to children is the most important thing that a teacher (or parent) can do to help their child(ren) succeed in reading. 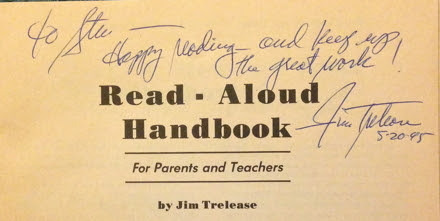 The Read Aloud Handbook, Weekly Reader edition, was my first introduction to Jim Trelease and from that point on, reading aloud, which was already an important part of my reading instruction time, became even more important. If there is one person who influenced my teaching more than any others, it’s Jim Trelease. What we learn in childhood is carved in stone. What we learn as adults is carved in ice. Jim Trelease used the above quote from poet David Kherdian to begin chapter 2 of his Read-Aloud Handbook. The first line is as good a reason as any for parents to read aloud to their children – from birth. In a recent survey on Read-Aloud the percentage of parents who read to their children from birth had increased to 30%, up from 15% in 2015. That number is still way too low. In addition, it was noted that even though there was an increase in the number of parents reading to their children from birth, only 14% of parents spent at least 15 minutes reading with their children. This also is an increase (from 8%) but, again, still pathetically low. Sadly, the increase is not across the board when it comes to reading aloud to children. I accept all those reasons (and the others given in the survey) as completely legitimate, unless the family (parents and children) spend at least 15 – 30 minutes a day watching TV. “It is a practice that should continue throughout the grades.” The commission found conclusive evidence to support reading aloud not only in the home but also in the classroom. In their wording—“the single most important activity”—the experts were saying reading aloud was more important than work sheets, homework, book reports, and flash cards. One of the cheapest, simplest, and oldest tools of teaching was being promoted as a better tool than anything else in the home or classroom—and it’s so simple you don’t even need a high school diploma to do it. In other words, 1) reading is one of the most important tools for children and 2) reading aloud is positively correlated with learning to read. Meanwhile, as the previously mentioned survey reveals, less than half of the parents of 0-8 year olds in the U.S. read aloud to their children. Reading aloud to your children can help offset some effects of poverty [emphasis added]. The important fact is that parents who insert themselves most firmly into early literacy activities—participating in reading, conversation, and writing—and bring those activities into the home regularly provide the best academic foundation for their children. Parent involvement makes a greater difference than money. And children love to listen to books, especially when parents read, and the act of reading together promotes lifelong literacy because people enjoy it. It continues to be fun at any age, long after a child learns to read fluently. We all love a well-spun story. As an adult I have realized that it is not just the books I read as a child, but those that were read aloud to me when I was little, that mean the most to me. They are the ones I have the strongest memories of and the ones that can evoke the strongest emotions. I never read My Side of the Mountain or Hatchet, but my 3rd grade teacher read them aloud to us, and I’ll never forget them. The Narnia books, the Lord of the Rings trilogy, the Ramona books, all the Roald Dahl books–my parents read them all to me, plus countless others, and these are the books that I remember most fondly. There is nothing better than sharing a story with someone. It was not unusual in my house to be reading a book and find certain passages were bracketed or had notes in the margin–my dad read aloud to all his classes, and would use these notes to guide his reading. When I read these books now as an adult, it’s not my own voice in my head that is narrating, but that of my parents. This adds an extra element of pleasure to rereading childhood favorites. Help your children live longer lives! Read to them from birth. Continue until they are at least 8 years old – longer if you can. If you know someone with children, grandchildren, nieces and nephews, friends and neighbors, let them know the value of reading to their children from birth. Get books at the public library. Ask librarians for suggestions, or check out The Read Aloud Handbook by Jim Trelease. You can find it at the library, get your own copy, or use an abridged version online. There are still millions of children in the U.S. who are exposed to lead every day. Flint, Michigan is the best known example of lead poisoning on a massive scale. After 3 years the water situation is starting to get better for Flint…but lead poisoning is non-reversible. How many lives have been damaged permanently? The situation in Flint is still difficult. Today, residents still use lead filters and bottled water for safety, and they still pay bills for water that they can’t use and for health problems that were the result of the crisis. But the $87 million settlement reached between residents and the city of Flint mandating pipe replacement has already begun to bring new water infrastructure into some parts of the city. All of Flint’s 18,000 damaged pipes are set to be replaced by 2020, and that replacement has already started. Boxed Water for Flint (click the image for link). How can a state that poisoned its children with leaded water, now put roadblocks in their way to get the special education services they need to improve their lives? Why didn’t the current occupant of the Oval Office come out against bigotry as strong as Joe Biden? Today we have an American president who has publicly proclaimed a moral equivalency between neo-Nazis and Klansmen and those who would oppose their venom and hate. We have an American president who has emboldened white supremacists with messages of comfort and support. This is a moment for this nation to declare what the president can’t with any clarity, consistency, or conviction: There is no place for these hate groups in America. Hatred of blacks, Jews, immigrants—all who are seen as “the other”—won’t be accepted or tolerated or given safe harbor anywhere in this nation. Read aloud to your children from birth. The beginning of a school year is a good time to take an inventory of at-home practices that parents can institute to support their children’s learning. One of the most important things that all parents should do is read aloud to their children regularly. Some teachers ask parents to make read aloud a regular part of the homework routine, but whether required by the teacher or not, the research has made it clear that read aloud is a critical home-based activity. Jim Trelease agrees with Russ Walsh. We start by looking at the recommendation of the 1983 Commission on Reading, funded by the U. S. Department of Education, which was alarmed by school scores. Since nearly everything in the curriculum rested upon reading, the consensus was that reading was at the heart of either the problem or the solution. There is a reason we have a government. There is a reason we pay taxes to support government services. …you can’t support the things the government does – like caring for the elderly, establishing justice, providing public education, fighting terrorism, and protecting the environment – and still maintain that the taxes that support those things are bad. The first responders who invariably become the heroes of any natural or human-caused disaster, are paid by taxes. Relief efforts to provide shelter, food, and medical care to displaced citizens are paid for by taxes. Support for rebuilding destroyed cities is paid for by taxes. Schools, roads, bridges, dams and reservoirs, water systems, and waste disposal facilities, and their upkeep, are paid for by taxes. Military defense is paid for by taxes. For the last four decades, Republicans have tried to defund the government claiming that taxes are evil. As tax revenues decrease, government services decrease. As government services decrease, individuals have to take up the slack. Those who can afford to pay for services get them. Those who don’t are out of luck. 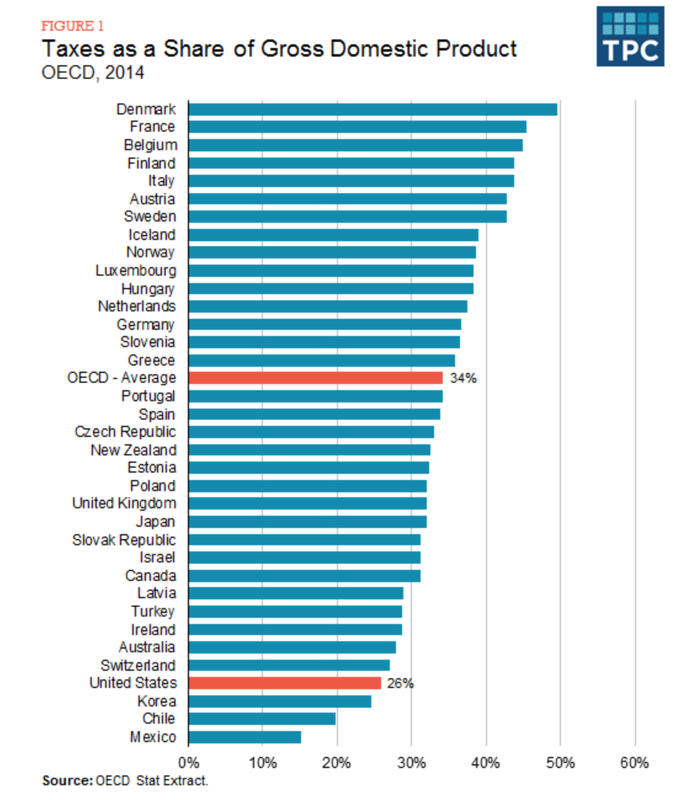 As a portion of the nation’s GDP, taxes in the U.S. are among the lowest in the developed world. As has become typical of the current kakistocracy, Donald Trump toured areas near the worst-hit region of Texas by Hurricane Harvey and praised the very agencies his proposed budget has tried to cut funds for, including FEMA, HUD and the National Weather Service. In case you need the definition of “kakistocracy” from the previous article. A kakistocracy (English pronunciation: /kækɪsˈtɑkɹəsi/) is a system of government which is run by the worst, least qualified, or most unscrupulous citizens. The word was coined as early as the 17th century. It was also used by English author Thomas Love Peacock in 1829, but gained significant usage in the 21st century. The word comes from the Greek words kakistos (κάκιστος; worst) and kratos (κράτος; rule), with a literal meaning of government by the worst people. Despite its Greek roots, the word was first used in English, but has been adapted into other languages. Its Greek equivalent is kakistokratia (κακιστοκρατία), Spanish kakistocracia, French kakistocracie, and Russian kakistokratiya (какистократия). An annual Father’s Day post…with changes. In the latest edition of his book, Trelease devotes an entire chapter to fathers and reading aloud. Boys, Trelease says, need their fathers to read to them. The relationship between fathers and sons has changed over the years, and not necessarily in a good way. Over the last few decades America’s “male” culture has been dominated by politics, sports and television, and boys watch their role models carefully. Among those men in important cultural and political positions in America are abusers, racists, and misogynists. It’s more important than ever that fathers exert role-model influence over their sons. Make a Father’s Day resolution. Read to your kids every day. Charlotte’s Web has been a favorite read aloud of third grade teachers for decades…probably since 1952, the year it was published. I first heard the book when my third grade teacher, Mrs. Gilbert (Philip Rogers School in Chicago) read it out loud during the 1956-57 school year. It was the first novel I remember hearing a teacher read aloud in school, and it had a significant effect on me and my future. I remembered it when I was a student in the education department at IPFW. I remembered it when I became a father and began reading aloud to my children. I remembered it once I started teaching and began reading aloud to my own classes. I remembered it when I discovered the Read Aloud Handbook, by Jim Trelease. I still remember it as I read aloud to a friend’s third grade class when I volunteer. For Teacher Appreciation Day, 2017, I’m reposting an entry, with some minor changes, from 2013 about reading aloud. In 2008 I wrote that Jim Trelease was going to retire. This year, just about a week ago in fact, he released the seventh and final edition of The Read Aloud Handbook. The first Penguin edition of his book was published in 1982, but I was already familiar with The Read Aloud Handbook three years before it was published by Penguin. In 1979 I ordered a pamphlet on reading aloud from the Weekly Reader Book Club. I had earned my teaching certificate before the 1976-77 school year and had been reading to my third graders every day…just like Dr. Madden (Lowell E. Madden, education professor at Indiana/Purdue Fort Wayne) taught me to do. Dr. Madden impressed upon us the importance of reading aloud…and for the 19 years (out of 35) I spent in a general education classroom it was my favorite part of the day. I read to all my classes…kindergarten through 6th grade…Where the Wild Things Are and Junie B. Jones through The Island of the Blue Dolphins. I can’t remember ever missing a day. It was my belief — and it still is — that reading aloud to children is the most important thing that a teacher (or parent) can do to help their child(ren) succeed in reading. That quote from Becoming a Nation of Readers published some years later (1985) reinforced my desire and my determination to read aloud to my students every day. As new editions of The Read Aloud Handbook were published I would buy them. When friends and family members had new babies, I would give copies of the book as gifts. When Jim Trelease visited Fort Wayne, which he did several times, I’d go hear him speak. I even started gathering a few autographs from the author. Why does it work? Because having someone read to you is fun…humans like fun…they want that fun to continue so they are motivated to learn to do it on their own. Trelease talks about reading achievement in the US compared to the rest of the world. We have, he says, some of the best nine-year old readers in the world, second only to Finland. By the time American kids are 14 however, they drop to eighth place. Would reading aloud to older students help? Most primary teachers read to their students every or almost every day. As the children get older, however, the frequency of teacher read aloud diminishes. Part of this is because the curriculum is so much heavier in upper grades, and part of it is, of course, the pervasive and time consuming influence of testing and test-prep. By the time students are 14, barely half of their reading/English/literature teachers read to them…and almost no teachers of other subjects do. An article titled Why Reading Aloud to Older Children Is Valuable argues that reading aloud to older students is still valuable. “Research indicates that motivation, interest, and engagement are often enhanced when teachers read aloud to middle school students,” wrote research authors Lettie K. Albright and Mary Ariail. Teachers surveyed for the study cited modeling as their number-one reason for reading aloud. While Trelease maintained that read-alouds can happen through any device (“Look at all the truckers listening to books on CD,” he said), and Lahey reads from a physical paper book, dogeared and scrawled with all her notes in the margins, both emphasized how students recall read-alouds with fond memories. Trelease recently received a letter from a retired teacher who reconnected online with former students some 30 years later. She wanted to know the one thing her former students remembered about her class. …and he proceeded to name off half a dozen of his favorites. Over the years I’ve gotten notes from former students telling me that they were reading a book to their children or their class which I had read to them when they were in my class. Reading aloud makes an impression…a positive one. Wouldn’t it be nice if teachers at all grades could eliminate some of the test prep and spend more time reading to their students?